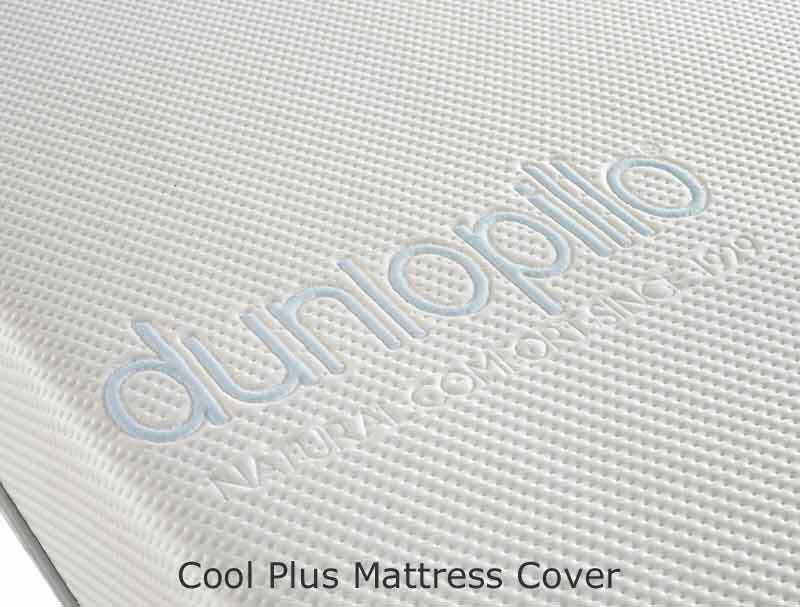 The new Dunlopillo Diamond offers an 18cm deep mattress made up from a 14cm pure latex 7 zones mattress core. The zones help give more support to the shoulders and lower spine and softer support to the head and feet. 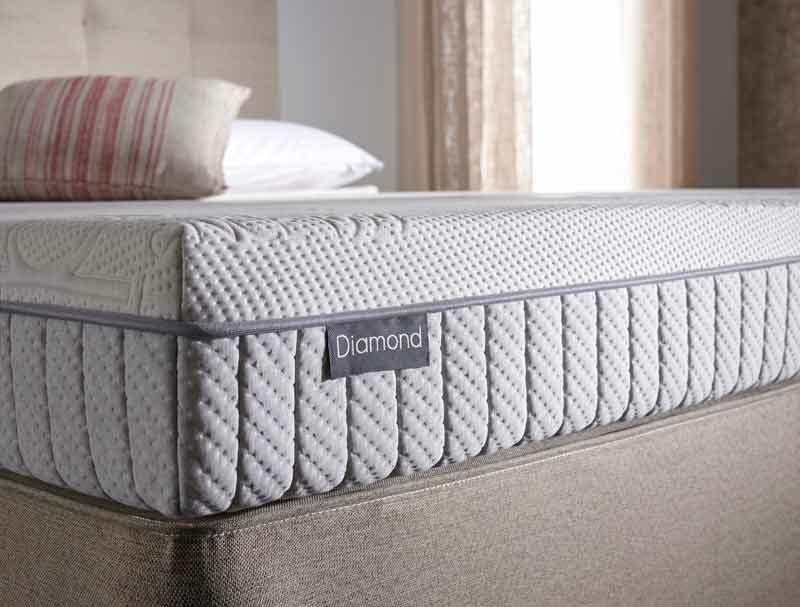 This non turn-able mattress is covered with a all-over 2cm thick quilted cover that is treated with Actipro. This is a specialist barrier fabric that offers protection against bacteria, odour, dust mites and is anti-allergenic. 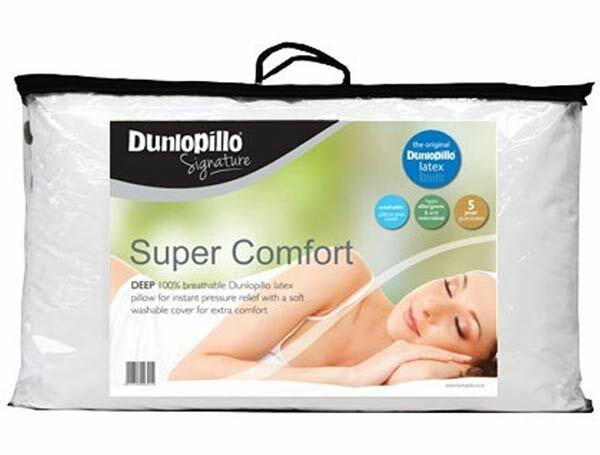 New for 2018 you can now have a New cool plus fabric cover as an upgrade this cool touch cover will significanly reduce the heat that some people can generate whilst sleeping on a latex mattress. This non turn-able easy care mattress is also available in firm tension and is called Firmrest. 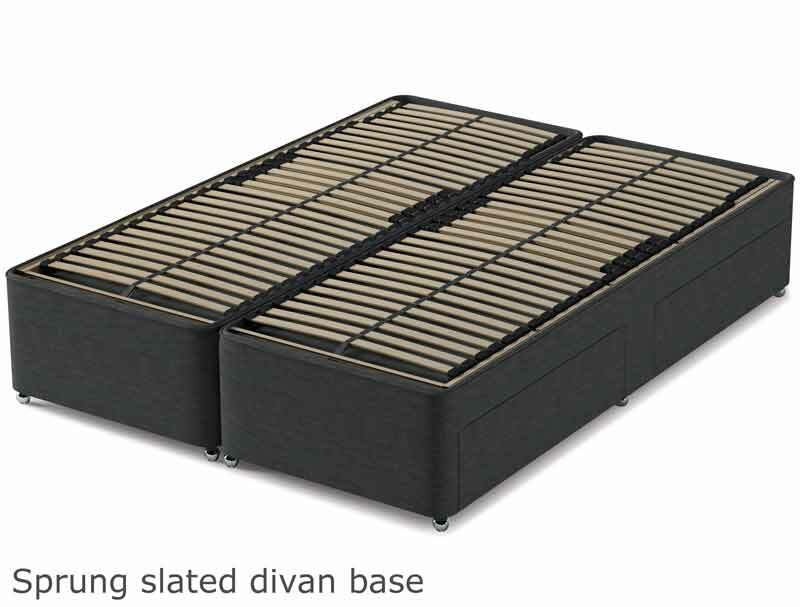 The base now comes only as a firm edge wooden sides with sprung slats . Each base comes as standard as a non-drawer, however 2, 2+2 or 4 drawers are available on certain sizes. 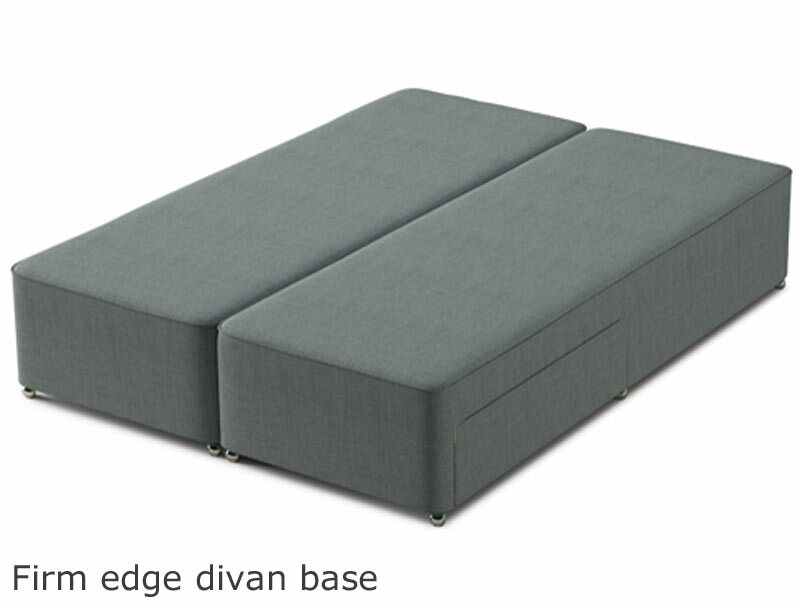 The base is also available in a large range of fabrics. 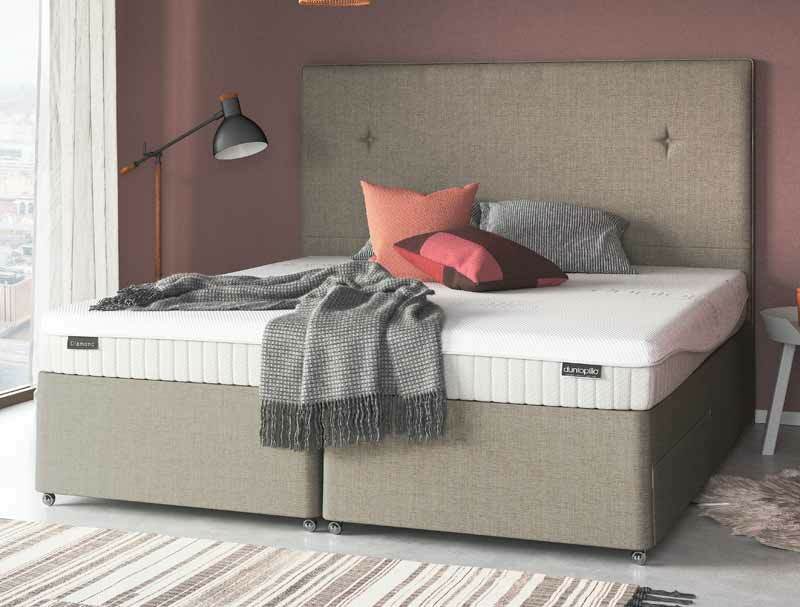 You can also upgrade your bed by adding a matching headboard to your bed with a choice of 7 styles available including a winged style. 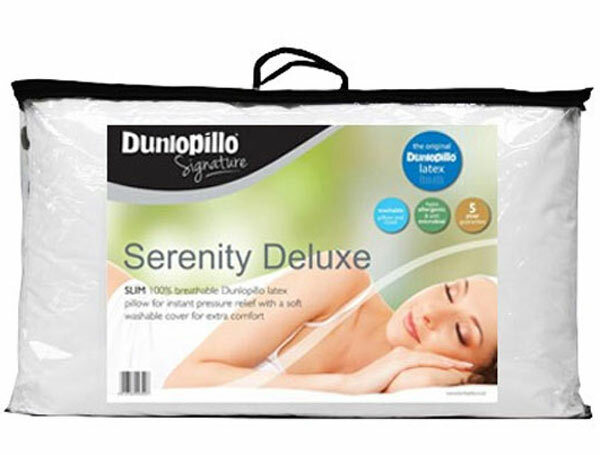 All New Dunlopillo beds come with a full 8 year guarantee. Price includes delivery, assembly and removal of old bed. Please tick these options when you have placed the order into the cart.